The Selfish Giant is a curious one. I left uplifted and genuinely happy by the whole affair, yet slightly perturbed as to whether at its heart, it was actually as good as the heart was saying. Based on a short story by Oscar Wilde, songwriter and musician Guy Chambers has given the piece a musical workover. The Giant (played by Jeff Nicholson) has a wonderful garden which the local children love to play in. However, this is a selfish giant after all, so, annoyed by their presence, he builds a wall to prevent them from entering. The scene is set for this story of personal redemption. 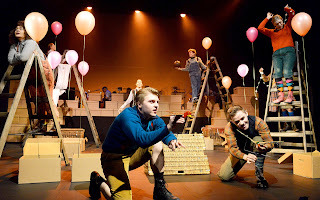 Creating a sung-through musical is a challenge, and Chambers succeeds in The Selfish Giant, although perhaps at the cost of a great deal of variety to the pieces. The weakness of The Selfish Giant always lies at the heart of both lacking numbers you take with you after the show, and indeed variety. The appearance of the giant, in the pacy and deep, real deep, vocals in The Angry Giant is one clear example, and where for me the show suddenly comes alive. This impact is short lived though, and the only other variety that we get is the rock performance of Hail (Olly Dobson) in He Likes to Turn the Rain to Ice. This is out of kilter with so much of the show, that it gets pretty much the only in show reaction from the curiously silent audience (a few people attempted an applause between some songs, but with lack of support quickly curtailing them). With Hail, think of the Pharoah in Joseph and the Amazing Technicolor Dreamcoat for reference here. We even get a mic drop into the bargain. From the cast there is some great talent on stage, all are solid singers, including the incredible depth of Nicholson's The Giant. What is less successful perhaps is the belief of the cast as kids. They play the games that children do in the garden and gaze at wonder at the wildlife, but these are still adults trying to be children a little too much. For me, of the cast, the one that really does get it, is Laura Sillett, the wonder is very much there, and you believe she of all the cast is really a child, all wide-eyed joy in her expressions. The staging of the show, while simple, is so incredibly effective. Balloons are our seasonal path, stepladders are our trees, frost is the sheets laid around, and boxes build the wall. It is all so simply gorgeous in its simplicity. Music is performed live from the nine-strong band performing at the back of the stage, slightly raised, and the show includes a couple of delightful solo moments where the musicians stand and perform above the wall, as the children gaze on. There is perhaps one slightly curious decision on the presentation, and that is of The Giant and the microphone he holds to sing. If this is a technical reason for the depth (and perhaps slightly modulated voice, if it is), it is fair enough. However, if this is chosen as a presentation style, it feels awkward and odd. Either way though, it does create a slightly weird distraction, that isn't with the Hail song, as that feels clearly deliberate and fits the scene. The Selfish Giant is listed as for eight plus, however, personally, I think this is a shame, as this could happily sit with younger audience members. The Giant himself is nicely balanced to never really be too scary, and in fact, I reckon the depth of his voice is perhaps the scariest part of him. The Selfish Giant is an oddity, perhaps correctly so considering the story, which happily sits with me as a wonderfully warm story, presented with some nice style, but not totally successful as a musical in itself. A truly heartwarming story, with a slightly less substantial musical telling it. 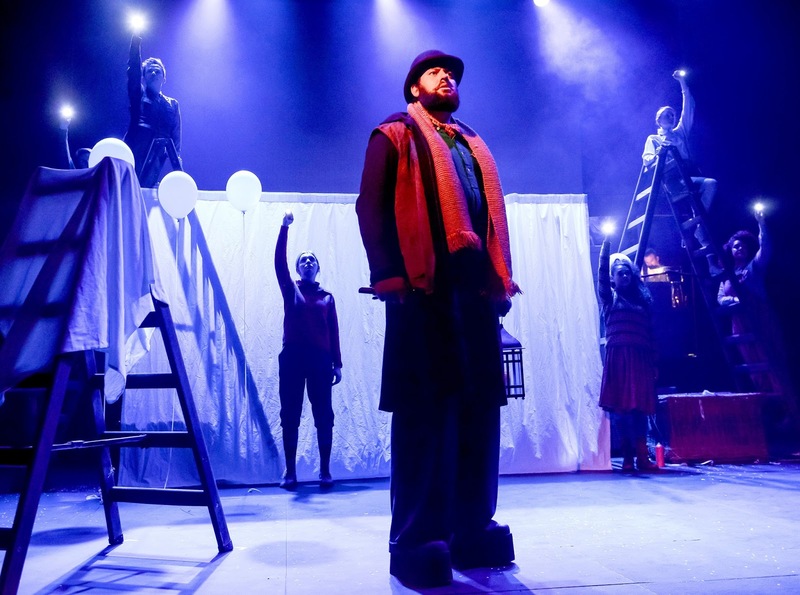 Performance reviewed: Friday 6th April 2018 at the Royal & Derngate (Royal), Northampton. 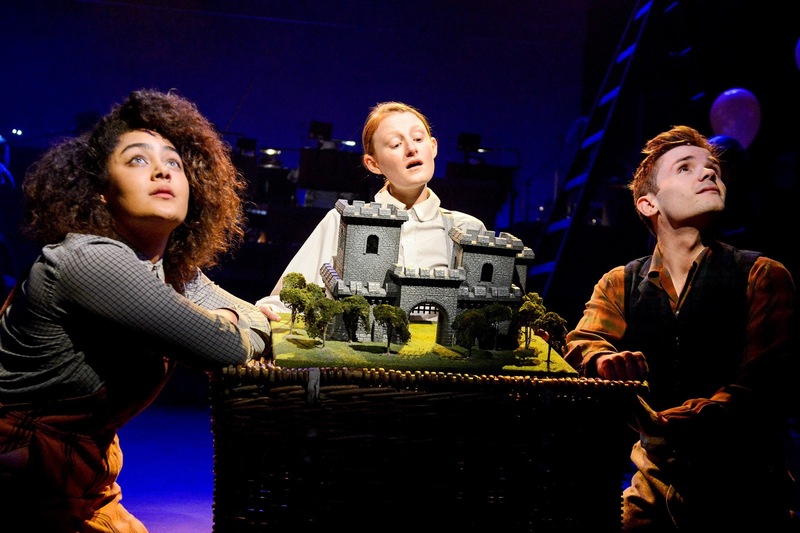 The Selfish Giant runs at the Royal & Derngate until Saturday 7th April 2018 before going on a tour, including into London at the Vaudeville Theatre.